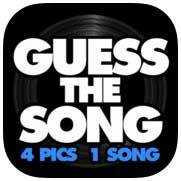 Guess The Song Level 15 Answers, cheats and solutions with screenshots. If you love 4 Pics 1 Word style games, and you love music, we’ve just created the game for you! Guess The Song uses subtle image clues to hint at the name of popular songs! Guess The Song is made by Conversion LLC / Random Logic Games.